Image of two coronal mass ejections 31 May 2001 taken by LASCO C2. Nearly simultaneously, two CMEs blast into opposite directions from the Sun, a fairly uncommon observation. 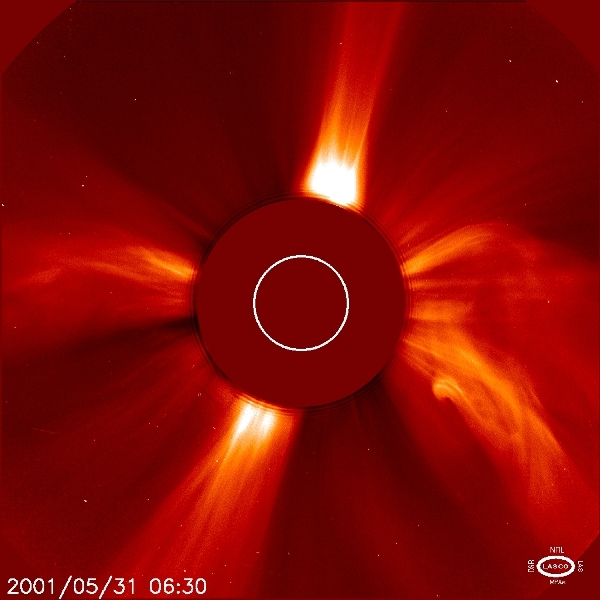 CMEs eject a billion tons of particles traveling millions of miles an hour. The dark disk blocks the Sun so that the LASCO instrument can observe the structures of the corona in visible light.